Housing for all has for long been the dream of India's economically deprived sections, particularly in urban areas, where the problem is the most acute. Not surprisingly, it has also been a battle cry of successive Central governments. The Pradhan Mantri Awas Yojana (PMAY) is the latest iteration of this policy desire to provide everyone a shelter. But a "house" does not consist only of four walls and a roof. At the core of the affordable housing debate is the need to ensure that we move beyond erecting walls and structures to constructing buildings that provide "comfort" to the residents. 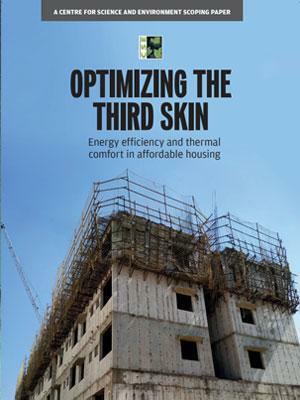 In this scoping paper, Centre for Science and Environment searches for a way forward which can marry affordability with thermal comfort and energy efficiency.